All you wanted to know about the people of India. Why do Indian men scratch their testicles in public? Bidi (also spelled as beedi) is a deadly poor man’s thin Indian cigarette packed with high amount of nicotine, tar and carbon monoxide. It is very popular is south Asian countries, especially in India and is exported to more than 100 countries. If you are a smoker then I wanted to pinpoint the Indian styled cigarette that you might wish to try when you are in India (at your own risk of course). But a word of warning! Research has shown that a regular size bidi contains 5 times more tar than a regular cigarette and also thrice the amount of nicotine and carbon monoxide. Apart from these they have additional harmful chemicals like phenol, benzopyrenes, hydrogen cyanide, and ammonia. Someone asked what gifts they can give to their Indian friends in India. This is something I had not thought about. 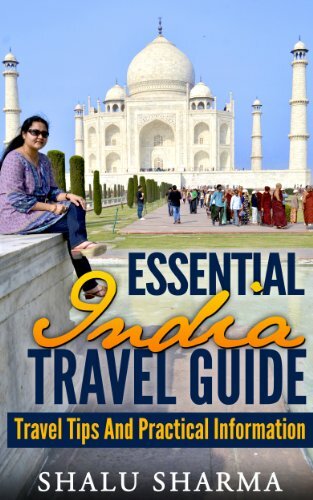 Although you can buy everything in India but if you are struggling to figure out what to buy for your friend when you visit India then here are a few travel gifts I can think of. Pens: Pens are valued in India. We Indians love pens which mean that if we have a quality pen, we will cherish it. So you can gift a pen to your Indian friend but do make sure that they are foreign. 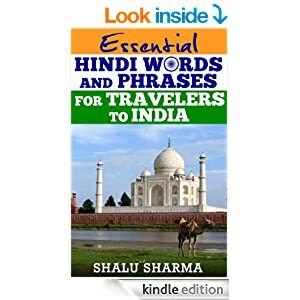 Read moreWhat to gift your Indian friend when visiting India? When you are out and about in the markets of India, don’t be put off by those who come and approach you and offer you to polish your shoes. Its part and parcel of the Indian experience! You might feel a little intimidated about the situation but these shoe polishers (or shoe shiners or boot polishers – whatever you like to call them) are actually trying to make a living. They are not begging or trying to con you, they are simply offering a service which you will not get anywhere in the western world. How much would you give this poor Indian Boy? The trouble with Indians is that we love bragging how great our country is and how ancient our religion is and on. But does it really matter if children like these have to sell and beg to make a living? If you are going on holiday to India then you are going to see a lot of these. In fact, every time your taxi stops at the traffic light in Delhi then a boy or girl just like in the picture will come up to you to beg or approach you to sell something. Coming from abroad, you might find this heartbreaking and out of pity you might end up buying whatever they’re selling. But we as Indians are almost immune to sights like these and most of us would probably turn a blind eye and even shoo them away. Read moreHow much would you give this poor Indian Boy? I would like to wish everyone a merry Christmas and a Happy New Year. The year 2013 is coming to an end and we must say goodbye to it. 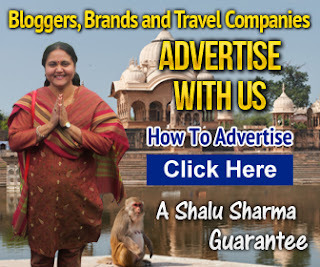 I have decided to say good bye to it by doing a small give-away on ShaluSharma.com. 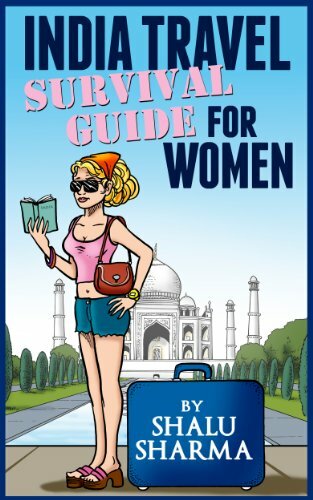 I will be giving out 3 paperback copies (physical format) of my book “India Travel Survival Guide For Women”. The three randomly drawn lucky winners will win a copy of my paperback book which is on sale on Amazon. Despite being Indian, India never fails to surprise me. Here are some interesting facts about India that you might find interesting. *The official name of India is the Republic of India. Other names induced Bharat and often called Hindustan. *India was the name given by the British because Indians used to grow Indigo (a dye used to colour clothes). Some say that it comes from the River Indus. In India, you’ll find lots of things for sale including services that some of you might find amusing. One such service is having your earwax removed. How cool is that? Where in the world are you going to get your earwax removed in this way? In fact, these “earwax removal guys”, we call them “walas” (or fellows) are everywhere. They are the so-called “professional” street-side ear cleaners or ear wax removers who are well versed in their job (by the way, we also have street toenail cutters, tooth pullers, head massagers, nail polishers, barbers and anything you can think of). Why are Indian women beautiful? Someone recently told me that Indian women are the most beautiful in the world. Even Paris Hilton, on her visit to India tweeted that she finds Indian women exotic and gorgeous. It got me thinking and I came to the conclusion that Indian women are indeed naturally gifted and beautiful. No wonder Indian women have won numerous beauty pageants for instance; Susmita Sen as Miss Universe, Aishwarya Rai and Priyanka Chopra as Miss World. In addition, India has some of the world’s sexiest women for example Neha Dhupia, Riya Sen and numerous others. Read moreWhy are Indian women beautiful? Categories Indian PeopleTags Indian people, Indian women, Why are Indian women beautiful? India is one of the most colourful countries of the world. The Indian people love wearing colourful clothes, doing strange things and not to mention that Indian movies are full of colourful dance sequences. This makes India one of the most photogenic places on earth; hence those travelling to India must take a camera with them to capture the amazing things they might see while in India. No wonder, travellers to India such as Kathryn Burrington, Elle the Solo Female Nomad, Samuel Jeffery and Daniel McBane, all of them have recommended taking a camera with them. I agree with them completely, you never know what you will find in India.